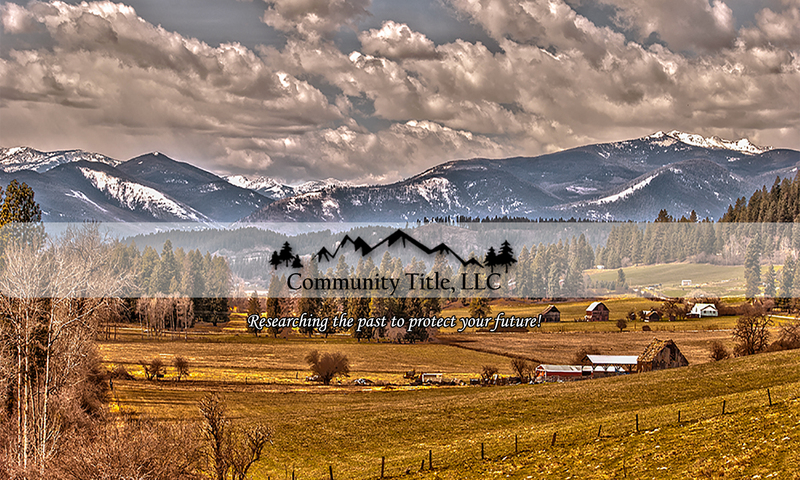 Community Title, LLC – Researching the past to protect your future! Researching the past to protect your future! Community Title, LLC is here to help you understand every aspect of the closing process. We are excited to help you with all of your title and escrow needs. What can Community Title Company do for you? Our clients are our top priority, which is why we pride ourselves on comfortable, understandable closings. Going through the process of buying, selling or refinancing your home is often thought to be a hassle. Closings can be confusing and reading a title report can be just as bad. You might find that asking questions often leads to more questions. If this sounds familiar, there is a better option. Come in and meet us, try Community Title today, and see why we're continually voted "Best" of Boundary County!